AirAsia, the world’s best low cost airline for five consecutive years, will be making an appearance at TV3’s Jom Heboh Karnival at Stadium Negeri Sarawak, Petrajaya, Kuching from the 28th – 29th September 2013 with exciting promotions and activities. Visitors to AirAsia booth will be able to enjoy ultra low fares to both domestic and international routes exclusively offered during the 2-day carnival. Guests can take this opportunity to connect from the many points in Sarawak to other destinations in AirAsia’s vast route network, such as from Kuching to Sibu, Kota Kinabalu, Penang, Singapore and many more destinations with all-in-fares from as low RM37 one way; as well as connect from Kuala Lumpur to Johor, Langkawi, Terengganu to name a few, from as low as RM26 one way, inclusive of taxes and fees. Great holiday destinations such as Bali, Bandung, Medan and more are on offer via Kuala Lumpur from as low as RM66 one-way; while Bangkok, Chiang Mai, Krabi, Hat Yai are available with all-in-fares from RM73 one way. Other Asean cities such as Hanoi, Siem Reap and Vientiane are also up for grabs from RM146 one way; while cities such as Hong Kong and Macau are only from RM167 one way. Not to be missed are also AirAsia X destinations such as Taiwan, Korea, Australia and Japan all-in-fare from RM366 one way. Among the highlights of the 2-day event will be performances by AirAsia’s fantastic cabin crew, the FUN Team. The fun group of AirAsia cabin crew will be on hand to meet and chat with visitors who are keen to join the AirAsia family as cabin crew. Apart from exclusive discounts, visitors can also expect fun and interactive activities where they will stand a chance to win lucky draw prizes, as well as AirAsia goodie bags. There are also free flights up for grabs. AirAsiaGo as well as Tune Insurance will also be participating throughout the 2-day Jom Heboh Karnival. Visitors could drop by to enquire or seek advice pertaining to the holiday packages with AirAsiaGo, and travel insurance coverage needs with Tune Insurance. 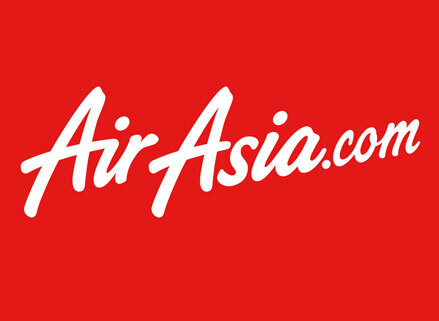 AirAsia connects both East Malaysia and Peninsular with 438x weekly flights, and offers the best connectivity within East Malaysia as well.